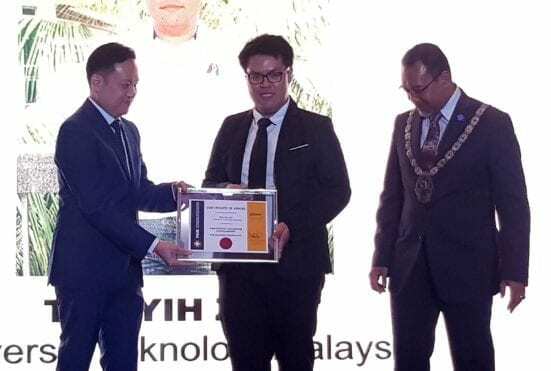 Petaling Jaya, May 12, 2018 – UTM Architecture students once again managed to garner the prestigious PAM Ferruni Ceramiche and Inovar Awards 2018. Students who won two of the four Ferruni Ceramiche Awards were Teh Yi Zhi and Lee Siew Jing, from the 3rd year B Sc Architecture programme. 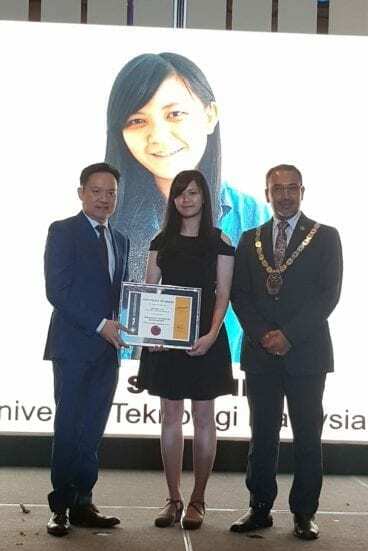 Lim Wen Jia, Master of Architecture Student Won the RM7,500 Inovar Award. They each won RM5,000. Lim Wen Jie, a 2nd Year Master in Architecture student was one of the two applicants who each won RM7,500 from the Inovar Award. Teh Yi Zhi won RM5,000 Ferruni Ceramiche Award. The awards were presented during the glamourous PAM Annual Dinner held at the Grand Ballroom of the Sheraton Hotel, Petaling Jaya on Saturday night, 12 May 2018. The winners were selected from numerous applicants from Architectural Programmes accredited by Lembaga Arkitek Malaysia. Lee Siew Jing won RM5,000 Ferruni Ceramiche Award. The vigorous selection process included a presentation of the students’ design portfolio and an interview process by a panel that consisted of Professionals and Academics under Pertubuhan Akitek Malaysia. This means that the success of students speaks highly of the quality of architecture program and the dedication of academic staffs in Malaysia especially UTM.